The ARP 2600, Octave’s The Cat, the Synthi VCS3, Korg MS-20, the Wasp, the 909, the 808, and more… it seems Behringer are going to make cheap versions of just about everything. In placeholder product pages on their site, you’ll see a whole bunch of remakes of historic classics, from synths to drum machines, Synthi to Roland. Product images aren’t there yet, but a lot of these will ship as keyboard instruments. 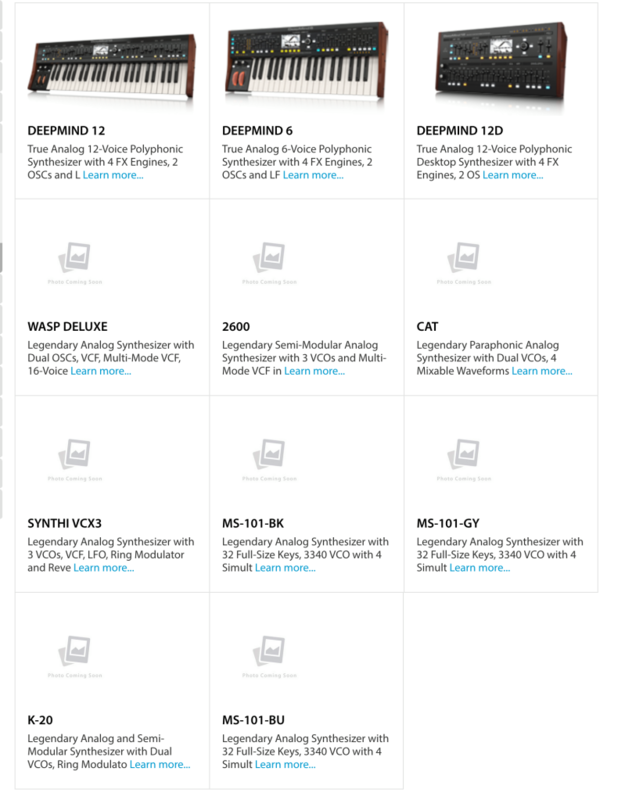 Also, in what could disrupt the boutique-heavy modular market, Eurorack versions appear to be planned for many or all of these. 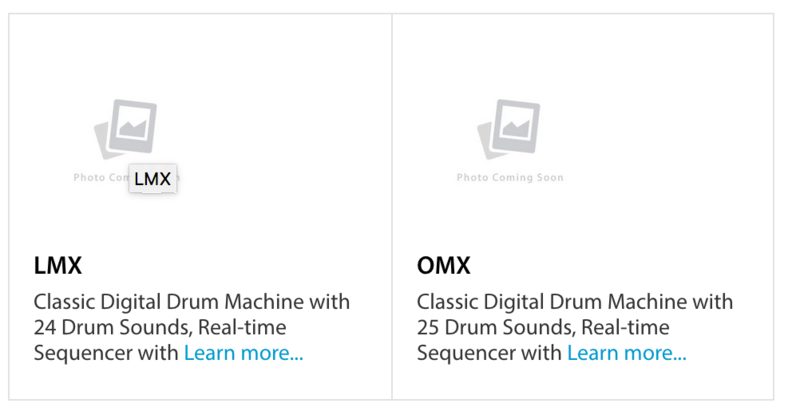 Updated: It appears this was just a publicity stunt – that is, apparently a staged “bug” in the Behringer Website that left these products visible for the better part of yesterday. Behringer is a tough company to predict, but it seems at least plausible that they do plan to ship these products in Eurorack format, and it should also be possible to undercut the current small-quantity, big-margin, boutique approach of those manufacturers. The question is when and for how much. Some of the product names get slightly scrambled, but others don’t. Of course, this also means Behringer are now getting into remakes of products whose creators and original brands still exist – KORG, Roland, Roger Linn, Tom Oberheim, and so on. It’s not unexpected – they’ve got access to inexpensive analog filters and oscillators that exactly replicate the originals. But it does suggest a shakeout is about to happen in the business, especially if these prices are disruptive. Will customers still be willing to pay more for independent makers (let alone other big brands)? Will the availability of cheap remakes make it tough to bring out new designs – or, alternatively, will it effectively mandate coming out with something new to compete? For now, we’re in the position we so often are with Behringer: speculating, as the brand gets way ahead of everyone else with a teaser, long before the specifics of price and design emerge. And that seems to be part of the design. But this story may not end here. It’s possible giants like Roland and KORG could find legal reason to go after Behringer, depending on how the products are presented. They might also find other mechanisms in marketing and sales to take action. You’ll find specs on Behringer’s site. Let us know what you think. ARP image (CC-BY) Rosa Menkman. Behringer’s so-called “website glitch” … do we believe them?